Today I take my hat off to anyone who has successfully sewn a hat. I joined in with a hat sewing challenge that should have been complete in September but after making a mess of this I’m surprised I finished at all. 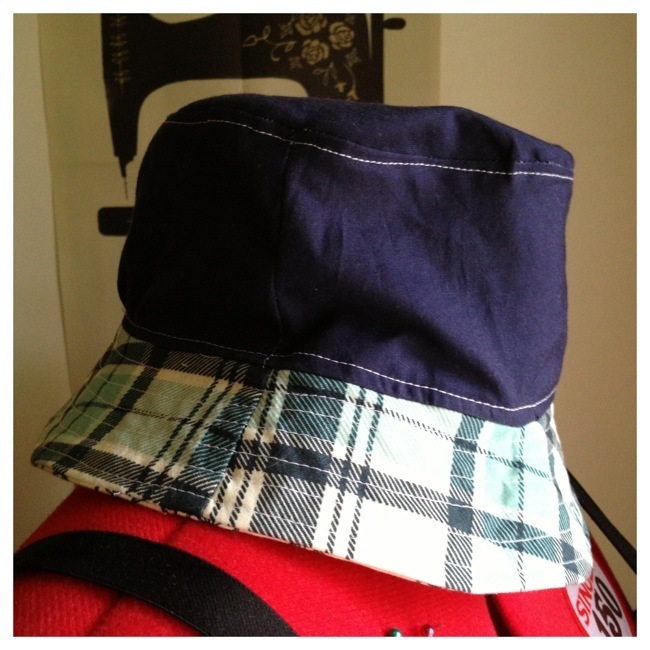 I used the free Oliver + S bucket hat pattern and changed the assembly a bit to avoid hand stitching. The finished hat is really cute on despite its numerous flaws, but the sizing is really small. He may grow out of it before summer! 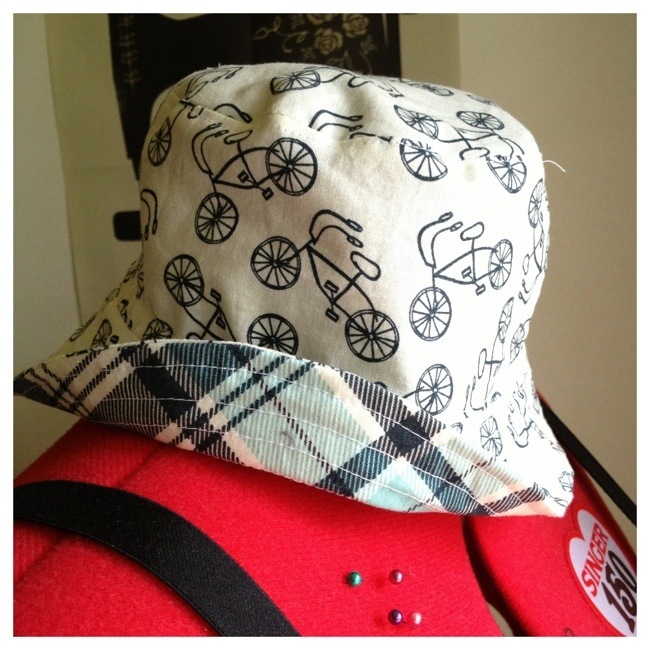 The hat is reversible and made using fabric from the ‘Lucy’s Crab Shack’ range. I have a green version waiting for completion too. I am still waiting to finish making mine, it’s been in the ‘to do’ pile for too long now. I really like the bicycle fabric you used. Do you mind if I “borrow” one of your pictures for a blogpost about the sew-along? Thanks for joining in. I love seeing all the hats everybody made.